For a group of men in Kirulapone, Colombo scraping and selling grated coconut on the spot holds the key to a better fortune, as this picture shows. 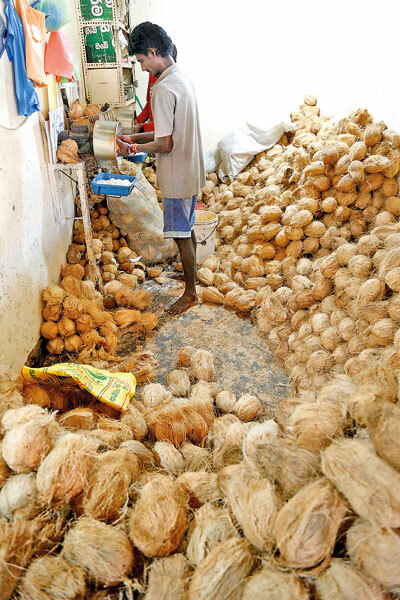 Around 200 to 300 people mostly busy office- goers visit the place daily to buy freshly shredded coconut packed in bags after scraping paying Rs. 5 per coconut. The demand increased during the Avurudu season. Pic by M.A. Pushpa Kumara.